There are two main types of acne, inflammatory and non-inflammatory. All acne starts off as a blocked follicle (pore). When the follicle over produces oil it will usually rise to the top of the skin. As it sits there, the pore becomes blocked and bacteria can then grow and multiply in the skin. 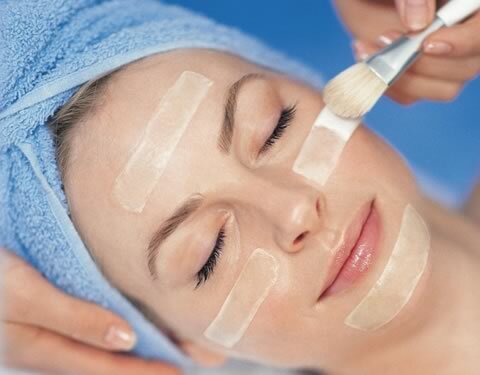 This will create what is called a comedone – either a blackhead or a whitehead. Blackheads and whiteheads will release oil to the surface of the skin and eventually clear, but the process can be helped with a gentle peel or acne peel plus an appropriate acne product. 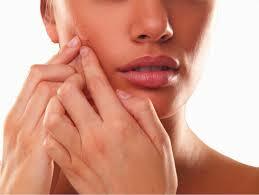 When you pick or pop a pimple it can inflame the surrounding tissue, causing inflammatory acne. In turn these can become cysts or hard bumps called nodules. While these are quite red and painful, many people can get random cysts from bacteria that cause acne – p bacteria. Cysts that are large and painful may injected with Kenalog to shrink the cyst. Lasting Looks Anti Aging Clinic a Medi-Spa in Toronto has long been helping patients to clear their acne without harsh prescription medications. We offer a wide variety of chemical peels from quite gentle too more aggressive, as well as the appropriate products for your particular type of acne. In some cases we offer IPL (intense pulse light) along with the proper chemical peel and home care to help get rid of your acne and the scars associated with picking. 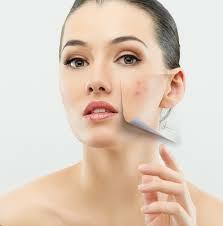 It is unfortunate that for many people, once their acne has cleared up , a reminder is left – Scarring. Acne scars can be caused by picking, Once you pick at the pimple you are damaging the cellular structure of the skin, causing injury to the skin that will often leave marks behind. Other reasons for scarring can include certain acne medications and cystic acne. Darkly pigmented scars are caused when active acne that is exposed to the sun, especially if you are using acne medication or taking prescribed medication like antibiotics or Accutane. Depending on the type of scarring that you have, Lasting Looks Anti Aging and Laser Clinic in Toronto can offer you a very effective treatment plan which may include physician strength acne peels, IPL, or combinations of these treatments. With the proper sunblock and home care we can help you achieve smoother, less scarred even toned skin. Microdermabrasion is a great comfortable treatment that will help your skin to look vibrant, smoother and refreshed. Diamond Microdermabrasion treatments can be done on almost all skin types and colors with no down time. Any area of the body can be rejuvenated with Microdermabrasion whether it’s the face, neck, hands, shoulders or back. Diamond Microdermabrasion gently removes surface skin cells in a very safe painless and effective manner. By removing these dead outer skin cells it allows the skin to regenerate and renew itself quicker. Once the skin has been thoroughly exfoliated you will notice that the appearance of surface scars, pigmentation, fine lines and will be lessened. You will also notice a decrease in the size of your pores and a definite softening of your skin. Often times we can combine Microdermabrasion treatments with different types of clinical peels or chemical peels to get even greater and faster results. Having fresh decongested skin also allows your serums and creams to penetrate quickly and work properly. Lasting Looks Clinic in Toronto has been offering Diamond Microdermabrasion for many years and it is a favorite among our clients’ for consistent visible results with no down time. If you currently suffer with acne or now have residual acne scarring Lasting Looks Clinic in Toronto may have your solution. Did you know that Brittney, Rihanna, Alicia Keys, Cameron Diaz, Adam Levine and numerous other stars have all had acne in the past and some still continue to suffer from it. At Lasting Looks Clinic in Etobicoke we have numerous treatments that can help you to control acne and get rid of both the problem and acne scarring. This can range from topical treatments to Chemical Acne Peels and Laser treatments to help resolve scars and redness. As there are many causes and types of acne, we can put together a customized treatment plan that is effective for you.